Your Beer stays ICY-COLD 'til the last drop!!! 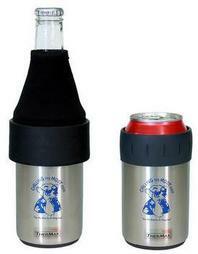 Forget those cheap foam koolies (aka: "Blankets"), Step up your game with the WORLD'S BEST BOTTLE/CAN INSULATORS. ​It's one product that works for BOTH Bottles and Cans...brought to you exclusively by ChillingTheMost.com! Great for the Boat, RV, Tail-Gating, Parties, Indoors & Outdoors. Take advantage of our "CASE DEAL" Buy 11 - Get FREE! !